The Space Shuttle was till not the only real space craft that was able to get to space and back an now you can get a great poster set to remind us of this great machine. 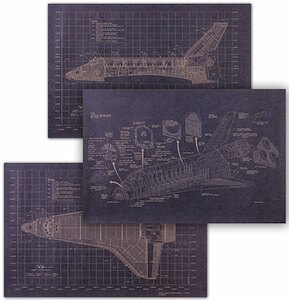 This is a set of 4 blue print poster of the Space Shuttle. Each poster shows a different view of the NASA space craft. The Space Shuttle posters are 12 x 18 inch and would look amazing together on a wall. Just imagine these blue prints in your home or office and dream of a trip in to outer space. Come and have a closer look at these Space Shuttle Blue Print Posters. 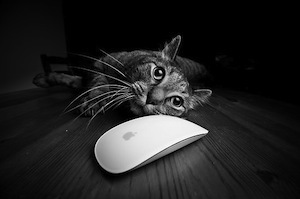 No this is not the old fashion video game we all loved, but it is close. 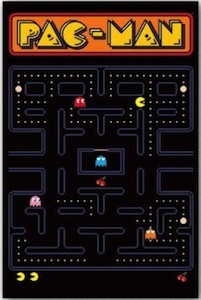 This is a poster of Pac-Man OK here the ghosts and Pac-Man don’t move but it looks perfect for on your wall and bring back memories of the good old days. This poster is 22 x 34 inch and will look great just like that or framed but either way it will look great. Come and check this Pac-Man Video Game Poster. If you are looking for some nice robot art for at home or the office then you could be in luck. This special looking 20 x 16 inch print shows a red background on witch you can see a robot and a little blue bird on his hand. I don’t think the bird is tweeting this experience but it sure brings some colour in to the picture. The poster comes in different styles from matt to gloss and is even available framed if you want. 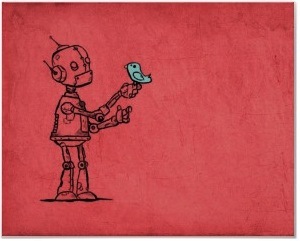 So come see how this robot poster would look in your home or office, come see the Robot And The Bluebird Poster. 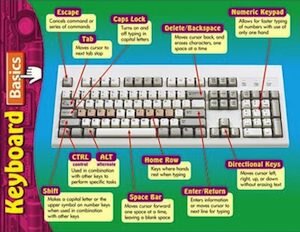 A poster like this one is what any gamer need. 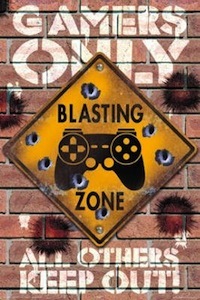 The poster shows a wall with on that a signs saying “Blasting Zone” and a gaming controller. And on the wall it says “Gamers Only All others keep out!”. With a size of 24 x 36 inch this poster can be great on a wall or door in a gamers room and the message is clear “Gamers Only”. Come check out this Gamers Only Poster. The pigs are ready for space. And that is what you see on this Angry Birds poster. This poster is an Angry Birds space poster and you see space with planets and stars. But there is more there are green pigs. This poster shows you a bunch of Angry Birds pigs flying in space. There is of course King Pig and then there is Helmet Pig and Moustache Pig and there is more of them. 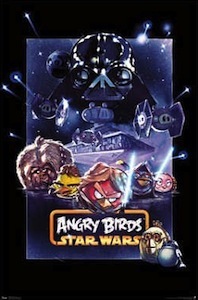 This poster of Angry Birds Space is 22 x 34 inches and would look amazing on a bedroom wall. Of course if you order a poster like this then you don’t want it damaged and that is why this poster will be shipped in a sturdy protective tube. 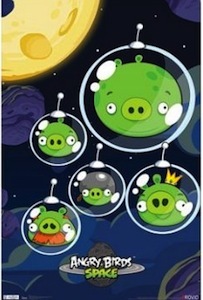 Get ready for space with this Angry Birds Space Poster With The Pigs. Are you collecting LEGO figures? 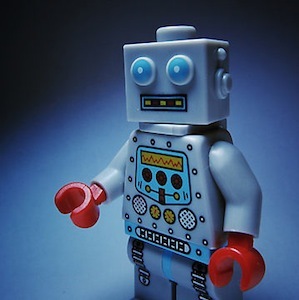 If so then you are gone love this poster of a robot minifig on an amazing 8 x 8 inch mini poster. So if you like robots and little LEGO figures then you have see this LEGO Robot Poster.